A good general purpose knife. We used a smaller diameter steel on this blade and made it nice and slim to get in tight spots. 2 lengths and 2 shapes available. The smaller 1/4" diameter of the steel on this blades makes for a very sturdy yet great detail knife. We stretched out the length to make it "slim" with a really long point. 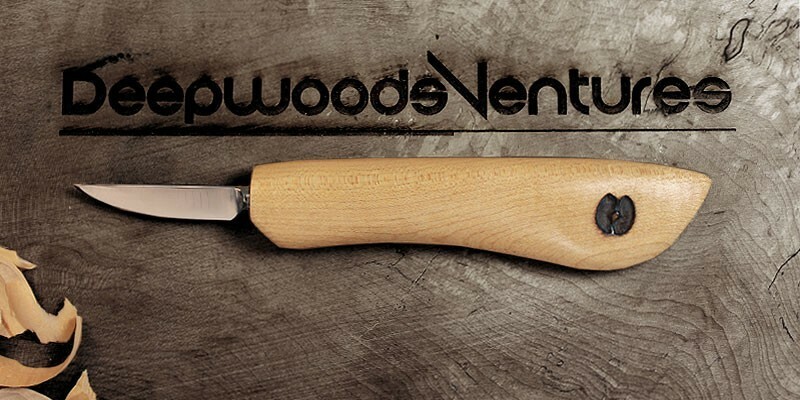 This knife will serve you well when carving tight spaces, but also a good all around general carving knife. A good addition to any carvers tool bag. Ground and tempered to carve softer woods, these wood carving blanks come to you sharp and ready to use. Knife Handle Length: The handle is approx. 5" in length. This does vary due to the fact that all the handles are handmade. There may be slight variations in the size and shape. 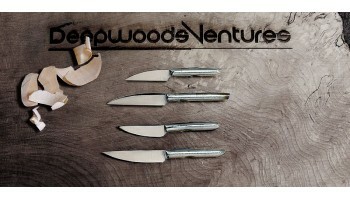 Handle Material: Each knife receives a figured piece of wood. 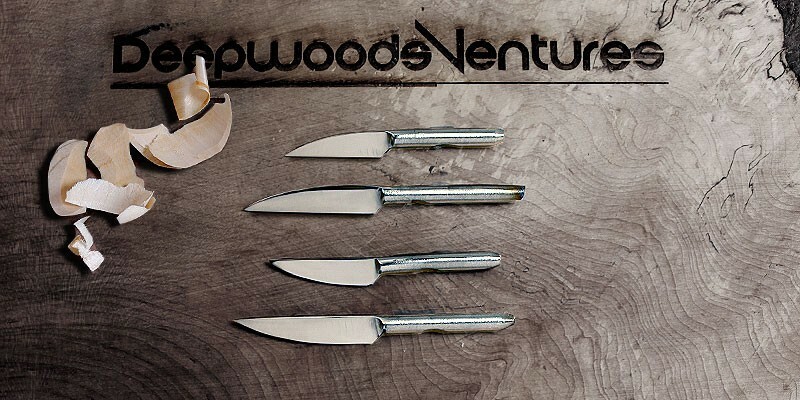 We do our best to find a highly figured piece of wood for each knife. The wood shown in the photo may not be the same handle material you receive. 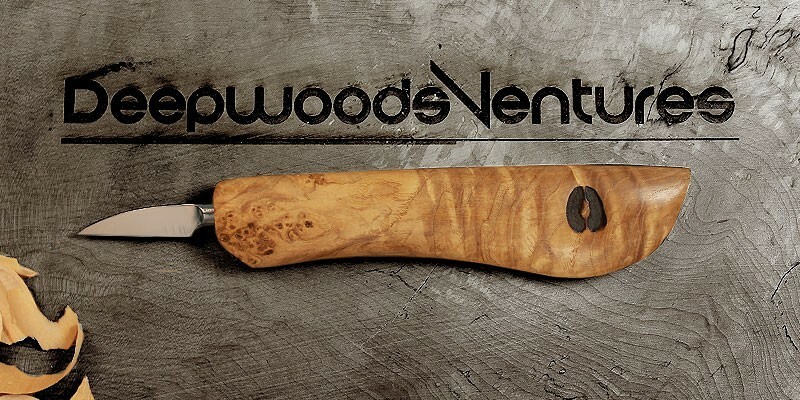 Sustainability: All the wood that we use to produce our handles comes from local sources. Most of it was destined for the wood chipper. A detail carving knife that really gets in the small spots. 2 knife blank lengths.